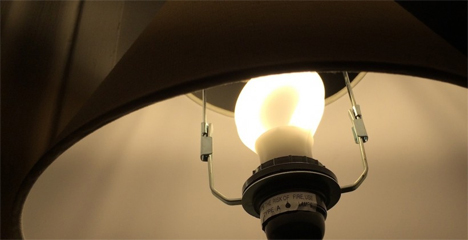 The start of 2014 was accompanied by the beginning of a government phase-out plan that was created to eliminate the production of all incandescent light bulbs. CFL and LED bulbs will take over for the outdated (and outlawed) incandescents, but consumers have had a number of problems with the idea of the change. One of these problems is the cost. An incandescent light bulb might cost a dollar or two, but the average LED bulb will run you around $20. This isn’t a bad deal given the fact that LED bulbs can last up to 20 years and use much less energy than the incandescent design, but it still stings when you’re trying to scrape together enough pennies to replace the burned-out bulb in your bathroom. 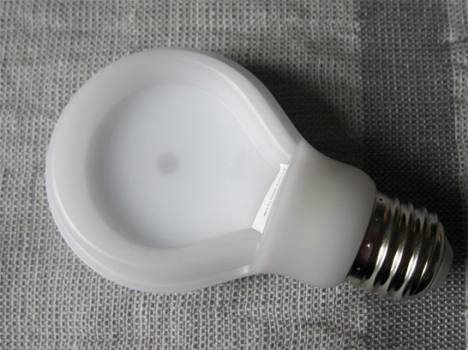 The reason for the steep cost has a lot to do with LED bulbs’ tendency to get very hot very quickly. 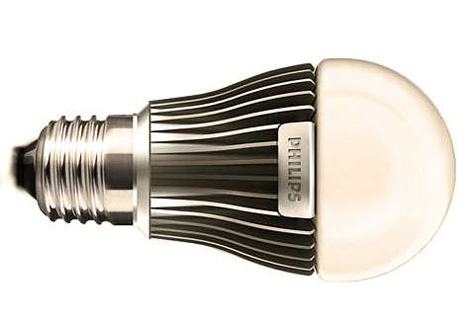 To counter this overheating, most manufacturers attach a heavy metal heat sink to the bulb’s base like in the photo above. Technology conglomerate Philips solved the problem in an admirably quirky way: they flattened the light bulb. Their LED bulb design features a horseshoe shaped array of LED diodes. The redesigned bulbs still emit an appropriate amount of light, but by losing the need for a heat sink the cost is cut in half. Philips’ SlimStyle bulbs retail for $9.97 (at the time of publication) for a 60-watt equivalent bulb.